YOU'RE IN LUCK! This house is back on market! Financing fell through. Great location & move in ready! 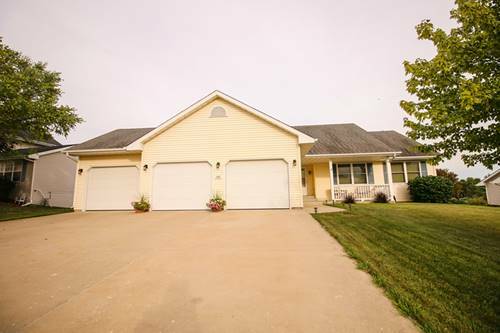 This meticulous 3 bed, 3 bath Ranch features a tiled entry w/closet that leads to a spacious great room w/gas fpl and sliding doors that led to a deck and backyard. Eat in kitchen with ss appl's, breakfast bar, table space and sliding doors to the deck, patio and backyard. Lg master bedroom w/WIC, & private master bath. Fully exposed basement w/finished full bath, 4th bedroom lg rec-room. 3 car attached garage. 1st floor laundry. For more information about 7617 Hawks Ridge, Machesney Park, IL 61115 contact Urban Real Estate.